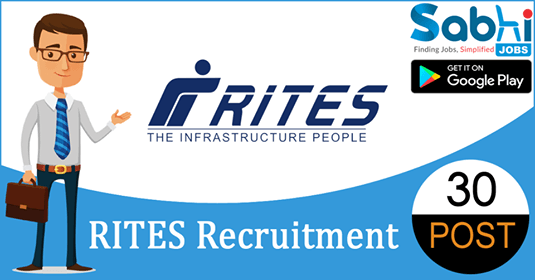 RITES recruitment 2018-19 notification has been released on official website www.rites.com for the recruitment of 30 vacancies at RITES Limited. The candidate who is looking for Deputy General Manager (Civil/MEP Expert), Site Engineer (Civil) can apply online application from 1st August 2018 and before 23rd August 2018. How to Apply Interested Candidates may apply Online through the website www.rites.com from 1st August 2018 to 23rd August 2018 and also send hard copy of Online application along with self attested documents to Assistant Manager (P)/Rectt., RITES Ltd., RITES Bhawan, Plot No.1, Sector-29, Gurgaon – 122001, Haryana on or before 30th August 2018.